Strategic planning determines where an organization is going over the next 1-5 years, how it’s going to get there and how it’ll know if it got there. Executives drive the focus of a strategic plan, and the strategic plan is really the first step in creating, articulating, and driving throughout the organization, a strategic advantage to help you WIN in the market. There are a variety of perspectives, models and approaches used in strategic planning. The way that a strategic plan is developed depends on the nature of the organization’s leadership, culture of the organization, complexity of the organization’s environment, size of the organization, expertise of planners, etc. Goals-based planning is probably the most common and starts with focus on the organization’s mission (and vision and/or values), goals to work toward the mission, strategies to achieve the goals, and action planning (who will do what and by when). Issues-based strategic planning often starts by examining issues facing the organization, strategies to address those issues, and action plans. Scenario Planning (some would assert that scenario planning is more a technique than model) Quite often, an organization’s strategic planners already know much of what will go into a strategic plan (this is true for business planning, too). However, development of the strategic plan greatly helps to clarify the organization’s plans and ensure that key leaders are all “on the same script”. Far more important than the strategic plan document, is the strategic planning process itself. Our phased modular approach can work from end to end, or, we can work with on a particular step in the process. The key to a great plan is not the “3 ring binder” but rather do we have all resources aligned to the key strategic outcomes. 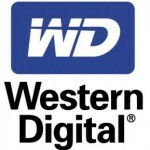 At Western Digital (WD), we were embarking on a journey of transformation. Our core markets were changing and the rate of change was accelerating; new competitors were appearing in the marketplace nearly on a daily basis. In addition to external changes, we had new executive leadership and a general climate of uncertainty, and change. Although the deep cultural roots of how we managed and behaved had made us extremely successful, we knew past practices would not get us where we needed to be for success in the future. We recognized that in this rapidly changing landscape, we needed to do things differently to maintain our leadership position in the market. We weren’t certain where to begin, and any discussion of change ended with no real commitment or plan. We needed help. As we were at the start of our three-to-five year strategic planning process design, we reached out to our network, receiving multiple referrals to Brainard Strategy. To successfully lead a discussion with the highest executives in our division, it would be extremely important that the consultants had the right cultural, intellectual and personality fit. Our initial meetings with Michael told us we had the right team. Michael effectively combines strategy development and deployment to lead organizations that are looking for practical, pragmatic help. He has the confidence, knowledge and presence to go toe-to-toe with C-level execs. Brainard Strategy partnered with our executive team to clarify and refine our Mission, Vision and Strategic Objectives. The process was practical, yet clearly grounded in the best ideas from traditional strategic planning processes. Michael pushed us to set up SMART goals and define our goals via tactics and metrics, using an easy-to-apply Performance Scorecard. Our team defined this scorecard together, and ingrained much more productive behaviors in reporting our scorecard performance as a result. 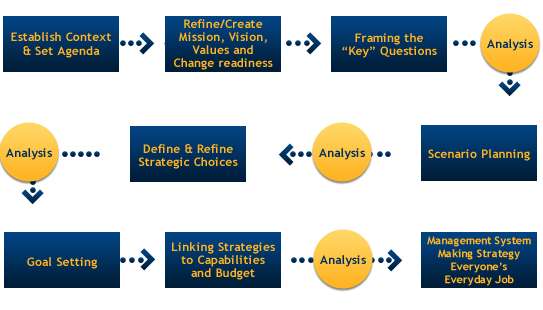 Brainard Strategy’s consulting support around Strategy Development/Alignment has enabled us to refine and clarify our thinking, and surface and address key strategic questions, thus achieving greater levels of goal alignment, execution and accountability than we have had as an executive team. We are so pleased with the results of the Strategic Planning Engagement that currently we are considering Brainard Strategy to address some of our Human Capital Development needs — they will be the first consultants we call when future needs cannot be met in-house.